Last August 12, NASA launched into space the mission that has been described as a “voyage of extreme exploration.” The person who defined it as such is actor William Shatner, the popular Captain Kirk of the original Star Trek series; this is someone who knows a lot about voyages of extreme exploration, even if only in fiction. 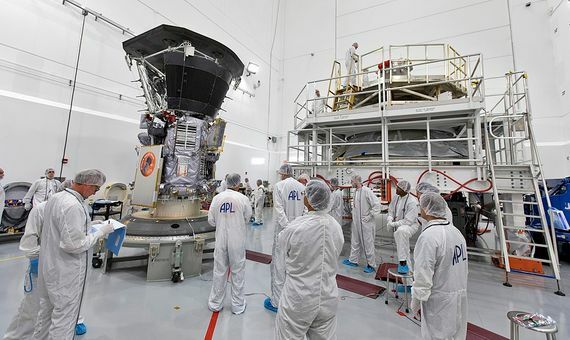 The truth is that the Parker Solar Probe (PSP), which has a microchip on board with the name of Shatner and thousands of other earthlings, will break records in the history of space science. This mission will have to face the fiery fury of the Sun to a degree never before experienced by any other man-made object. “This summer we’re going to touch the Sun,” Shatner says in a NASA video. The PSP—named after retired astrophysicist Eugene Parker, who coined the term “solar wind”—aims to analyse the Sun’s magnetic fields, the emission of energetic particles and solar wind, and the strange warming of the corona. 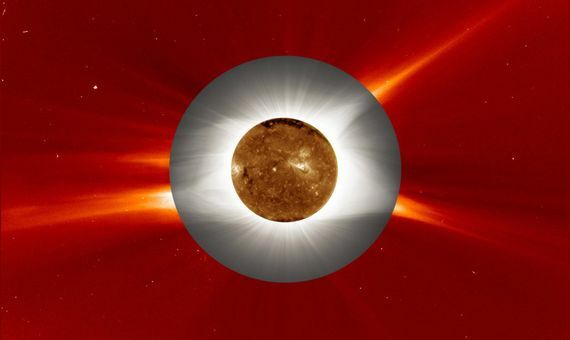 While the photosphere or solar surface has a temperature of about 5,000 °C, the plasma corona that surrounds it is heated up to millions of degrees, a phenomenon that has baffled scientists for decades. To achieve its goals, the PSP will enter into an elliptical orbit around the Sun that over the next seven years will use the gravity of Venus as a springboard to close its loop around the star. Although the probe will record its first perihelion (the orbital point closest to the Sun) this November, this progressive narrowing will bring it to its closest approach in December 2025. The PSP will cross the corona about 6 million kilometres from the solar surface, which is equivalent to less than 9 times the radius of the Sun. The powerful gravity of the star will accelerate it to almost 200 km/s or 700,000 km/h, the highest speed ever reached by a space probe. 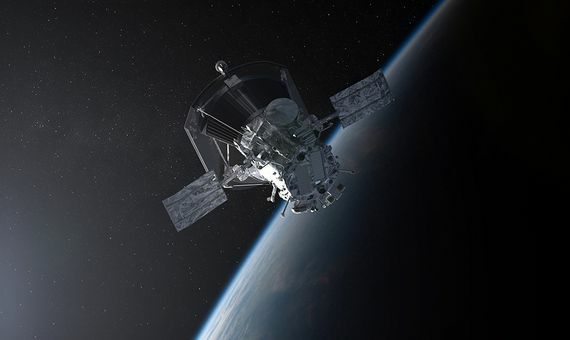 “Parker Solar Probe is, quite literally, the fastest, hottest—and, to me, the coolest—mission under the Sun,” said project scientist Nicola Fox, new director of NASA’s Heliophysics Science Division. But how can this spacecraft carry out its mission without its delicate instruments getting scorched? In perihelion, the PSP will be exposed to solar radiation 475 times greater than that present in Earth’s orbit, and the Sun’s radiance will heat everything within reach of its rays to about 1,370 °C; even though the corona’s temperature is a thousand times greater, its particles are too dispersed for its heat transfer to the craft to exert a perceptible effect. To protect the probe from the hellish solar weather, the Laboratory of Applied Physics of Johns Hopkins University (USA) has created a hexagonal umbrella of 2.4 metres in diameter, whose thickness of only 11.5 centimetres will be able to reduce the temperature on its rear face to about 315 °C, which added to a water cooling system will keep the on-board instruments at a comfortable 29 °C. In a demonstration video, chief engineer of the thermal protection system, Elizabeth Congdon, shows how a replica of a section of the shield can be heated red-hot on one of its sides while the opposite can be touched without feeling heat. The secret of the shield is the carbon reinforced carbon fibre (carbon-carbon or C/C), an old acquaintance of space scientists for being the material used in thermal protectors for the re-entry into the atmosphere of spacecraft like NASA’s old space shuttles. The C/C offers extreme resistance to high temperatures, but conducts heat, which requires the insertion of an insulator. To this end, carbon foam has been used, a porous version of pencil graphite that is employed in medicine as a bone simulator, and which is currently also being tested in implants for bone regeneration. The carbon foam is 97% hollow, so the vacuum of space will provide the necessary insulation while at the same time preventing the shield from becoming a ball of fire. Interestingly, it’s a highly combustible material in the presence of oxygen, something that Congdon found out in a laboratory test when the vacuum system failed: “The thing went up in flames,” she told the journal Science. This material occupies most of the thickness of the umbrella, embedded between the two sheets of C/C of just a couple of millimetres thick, and its high porosity allows the weight of the shield to remain at just over 70 kilos. The package is completed with a coating of ceramic enamel of aluminium oxide, whose white colour and porosity will help to disperse the heat and reflect light. However, the technical challenges of the PSP are not limited to the shield. Since the probe will orbit around the Sun, an automatic device must reposition the sun shield. In addition, solar panels for the supply of energy are also refrigerated and have a system that will keep most of their surface in the shade during perihelion. But one essential detail should not be forgotten: in order to touch the Sun, in other words to collect and analyse its particles, two instruments must be unprotected in full sunlight, for which they are equipped with special materials, such as niobium cables in tubes of sapphire crystal. High technology, indeed, so that this modern Icarus can fly to the Sun without burning its wings.